Early College High School’s Owlbots competed in the BELL Metro League Championship held in Mission on Jan. 27. The team accumulated several awards including 1st place Think Award, 1st place Design Award, and 2nd place in Team Alliance Championship Competition. The Owlbots will go on to the Wild Card Event in Laredo on Feb. 10 for a chance at advancing to the FTC Alamo Regional Championship in Austin. 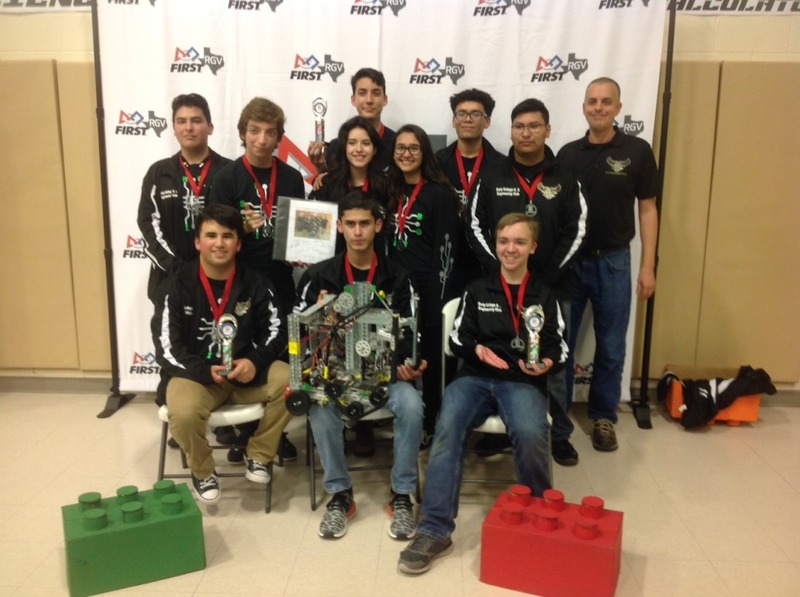 ECHS robotics teammates include Daniel Garcia, Daniel Saucedo, David Travis, Bethany Salinas, Gabrielle Yanez, Aaron Vidaurri, Max Sanchez, Kevin Hall, Sebastian Reyna, and Jose Castillo.